“Imy” Volumes 1& 2 *LIMITED* Pre-Sale starts NOW! Not going to NYCC this year? 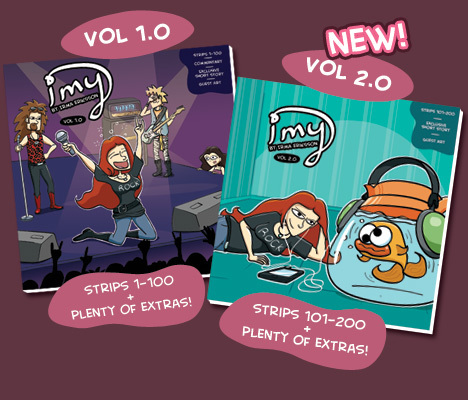 Then the only way you can get your hands on copies of “Imy” Volumes 1.0 & 2.0 is to order them from the site. But there are limited quantities, so what happens if I sell out at NYCC? Then I won’t have anything to put on the site for the rest of you! So, INSTEAD, I am offering a limited pre-order from NOW until October 10th to make sure that you are guaranteed to own your own copies! You can buy either or both of them in a package deal! Go to the pre-sale page NOW!